If the item has arrived faulty or damaged please contact us with a picture of the broken item and we will get the issue resolved in no time. Each complaint will be considered individually within 24 hrs. We shall offer you either the item replacement or full refund instead. You have 14 Calendar Days to cancel the order. To cancel it send us the Order Cancellation Request from the date you purchased it using our Contact us form here. In the Subject line: Order Cancellation Request. In the message body: Your purchase order number. If you do not have it: Just provide us with your full name and address instead. If the order has not been shipped yet we’ll cancel your order right away and send you a full refund. If the order has been shipped already, you have to send us the items back undamaged and unused. You have 14 Calendar Days to send us back the items you ordered. Buyer Pays the Return Postage. Once we’ve received them we’ll send you a full refund or if the items had been used or damaged we’ll challenge your Order Cancellation Request. To be eligible for a return, your item must be unused and in the same condition that you received it. Once your return request has been verified and approved, we shall send you a full refund within 24 hours. The details and descriptions of all All-Candles-Wholesale.co.uk products on our website are accurate when input and uploaded, and all illustrations are a guide to appearance. However, as the beeswax and other materials featured are natural products, shades and hues may vary from those displayed on your computer screen. While we endeavour to keep our website up to date at all times, stock levels, products and prices may not always be exactly as displayed at the specific time you place an order. Should such changes have occurred, you will be contacted when you place an order, the changes explained and you will be asked if you wish to proceed with the order. 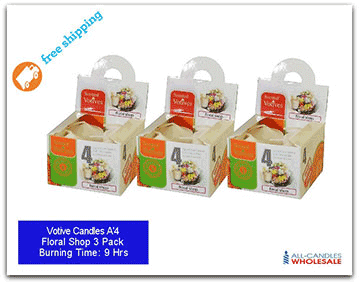 All-Candles-Wholesale.co.uk website is designed for personal use and making purchases only. It may only be used for lawful purposes and in a lawful manner. Pages may be printed only for personal use in placing orders. All images and text are the property of All-Candles-Wholesale.co.uk and must not be copied, used or reproduced without written authorisation from the company. All-Candles-Wholesale.co.uk will take all reasonable care in its power to protect and keep secure the information you provide us with when placing your orders. All-Candles-Wholesale.co.uk cannot be held responsible for any losses you may incur by this data, or its website, being accessed by an unauthorised third party. All-Candles-Wholesale.co.uk reserves the right at all times to accept or decline offers to purchase goods from the company and its website. The laws of England and Wales govern our terms and conditions, which are subject to change, but they do not affect your statutory rights.